GLBIMR believes in laying a strong foundation to the management career that lies ahead of the young aspiring managers. 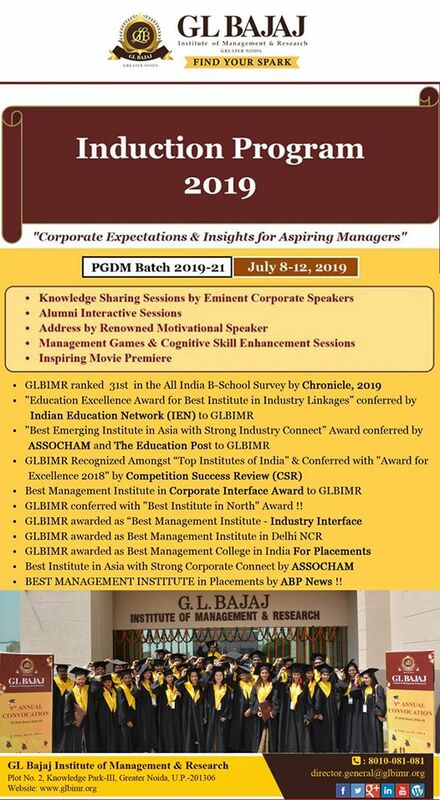 In keeping this belief integral, GLBIMR is organizing One-Week Extensive Induction Program from July 08-12, 2019 for the new PGDM Batch 2019-21 on the theme – “Corporate Expectations & Insights for Aspiring Managers”. 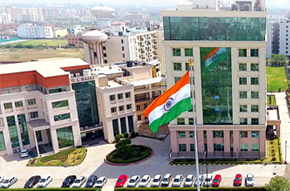 The one week long induction period comprises the Knowledge Sharing Sessions by renowned Corporate Experts, Alumni Talk series, Motivational Sessions by renowned speakers, Inspirational Movie Premiere, Management Games and Cognitive Skill Enhancement Sessions where the students will get an opportunity to interact with eminent personalities from various walks of life. These sessions aim at bringing the students, from different educational streams and backgrounds, at par with one another and making their transition from campus to corporate a smooth one.